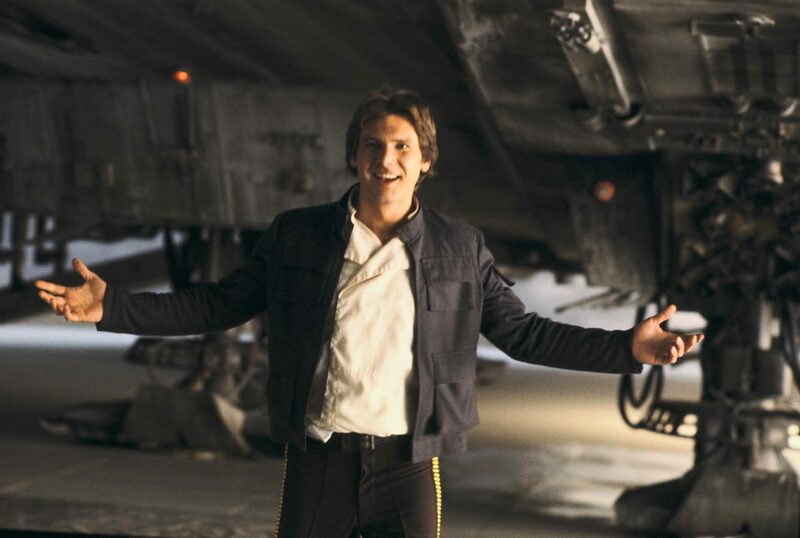 Currently, in a far off galaxy, the Young Han Solo movie is shooting. Okay, it’s really just hidden away in London, but it feels like a whole other universe, since everything about the movie is under tight lock and key. But just because there’s hella security doesn’t mean that a few things won’t leak out — like the first images of Alden Ehrenreich in his presumed Han Solo costume. TMZ first shared the images, so take them with a grain of Tatooine sand. Disney and Lucasfilm haven’t confirmed that these are real, certified Star Wars images from the movie, but they also haven’t denied them, either. Judging from the ships spotted in this same location, it’s safe to say everything here is all about the young, scruffy-looking nerf herder. No, sadly, we aren’t going to post the photos here, because we don’t have Han Solo’s blessing to do so, and we don’t want to make any wookies mad, okay? But feel free to scroll through ALL of them at TMZ!! And then come back here, so we can talk about the most shocking thing about these images — and no, it’s not Han’s glorious ‘do. The vehicles in this movie already look bonkers. The Millennium Falcon is nowhere in sight (maybe Han hasn’t, ahem, won it yet), and instead, we’ve got some low-riding speeders. Does anyone get a very ’70s vibe from them? Like this Han should have a Tom Selleck mustache while driving around Corellia? Though we know nothing about the movie, at least we know it’s going to jump to lightspeed in 367 days.